By covering as many bases as possible, you can not only ensure that your message is reaching the right people on a large scale, but you can create a streamlined and engaging brand that will remain consistent across all digital platforms. 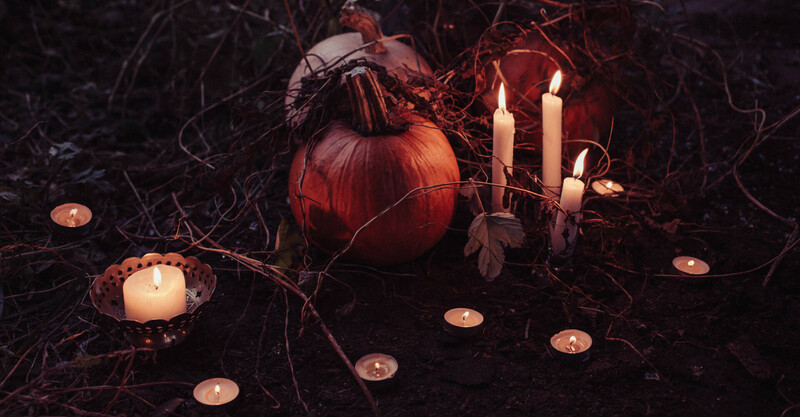 With Halloween in the air, the Bozboz Digital Marketing team has put together seven secrets to establishing and engaging your target audience, from the creative to the technical. Try out some of these tricks - and get ready for a treat when it comes to measuring your ROI. When creating a marketing strategy, you must first consider your most precious treasure - your audience! Whether your objective is to build brand engagement or to increase sales, you must first establish who you want to talk to! Audience profiling is great way to work out who you want to talk to and why. Establish a firm idea of your target audience and draw up a quality profile for a typical member – think Tinder for marketing! From age, social status, and hobbies, take the time to build a good picture of your customers and then use this information to work out how you’re going to reach them. For established companies that already use social media, there is a huge amount of data lurking in the wings, ready for you to analyse! Tools such as SproutSocial allow you to schedule, monitor and track trending topics through social listening, so you can see what your target audience are talking about. Other great free tools include Facebook Insights and Twitter Analytics, where you can understand how people engage with your Page and view metrics about your Page’s performance. When it comes to paid social, each promoted post’s engagement can be analysed based on age, gender, location and placements. This means you can closely monitor whether or not you’re attracting your intended audience and adjust your campaigns accordingly. Good quality written content often leaves audiences feeling like you’re reading their minds, answering their questions directly and engagingly. However, you don’t need to be psychic to tap into what your audience is asking. A little research goes a long way when it comes to grabbing attention and building trust. There are various ways to discover the questions that your audience is asking, from asking them personally via an online survey to spotting question-based long-tail terms in your keyword research. With the rise of semantic SEO, people are more likely to type a direct question into Google than ever. Once you’ve found a commonly-asked question that’s relevant to your target audience, answer it in as clear and personal a way as possible, making your audience feel like you’re speaking directly to them. Don’t saturate your content in sales language at this stage, as it will put readers off reading posts to the end. The key to good content is building trust, positioning your company and employees as thought leaders and encouraging readers to come back for more. However, a few in-text links and a clear call to action will prolong the user journey across your site. Information is a social currency, and by offering useful, relevant information for free, you will lay the foundation for a trusting relationship - leaving your audience truly spellbound. Pay-per-click (PPC) - and specifically AdWords - is so advanced that it has the power to segment advertising down to age, interests and gender. You can track target audience members across the internet with your ads, ensuring that you answer their search queries, display adverts on the websites and YouTube videos that are relevant to their interests - and even target direct to their inbox. It’s the ultimate Jamie Lee Curtis horror film, but instead of a gruesome death, users are fated to benefit from your service while you generate ROI. Imagine you're selling a Halloween costume, based on a character from a TV show favoured by females aged between 18-25. You can set up a campaign to target people searching for Halloween costumes, but you can also set up a display campaign to target managed placements on the entertainment websites your target audience may be visiting - modifying the bids by gender and age. Then you can set up a YouTube ad to target viewers watching videos about the show in question, based on their keyword searches. Add a gmail campaign to hit your target audience while they’re checking their emails, and your Halloween costume can follow your audience all the way across the web. Email marketing is the ultimate combination of your lead generation channels. It takes all your leads and then mixes, personalises, and segments the data you’ve received. The result is a Monster Mash amalgamation of your brand and goals. Where all the elements of your business can combine to make the big sell - and when done well, can generate a significant amount of revenue. Take retail as an example: email marketing can use audience members’ purchase history, or how they’ve browsed your website, to promote the perfect products at the perfect time. Once you’ve got the data, all you need to do is personalise your campaign and get creative, ensuring that readers open the email and click through to the products. Trust us - it’ll be a graveyard smash! The majority of your audience are probably on Facebook, Twitter, LinkedIn or Instagram - and you need to be where you audience are. The nightmare is that your competitors are most likely there too. With paid social, you can directly target your market, push your posts out further, and get your brand seen. The more your audience sees and engages with your post, the more their friends and followers will see your brand too. It’s as viral as a zombie apocalypse! If you want to create some scarily good results, we’d recommend testing your ad content and target audience. Measure reach, engagement, link clicks, and the cost for all of these - and you’ll soon be killing it! Targeting posts to interest groups is just the start when it comes to paid social. With custom audiences created from customer data and website behaviour, you can soon create a potent - and totally customised - social potion! Competing for attention on search engines is a task in itself for most site-owners, but in the world of retail it means juggling a site alongside your real-world presence too. Where these two worlds combine is the strange twilight zone of local search, and it demands its own special set of considerations. Directories are an old-fashioned method of listing business info, and have been supplanted by the ease of search engines, but some are still popular and relevant. Most now offer hybrid services to add value, like Yelp’s business reviews. Moz.com has a great tool for Local Search - just pop your business in there, and you can compare your existing listings on the biggest directories. The tool makes updating and maintaining consistent listings a breeze. Google may be a search engine but it retains some directory-like features, making it a Frankenstein’s monster of web services. Listings from Google My Business stitched onto searches for your brand and location, and alongside your competitors on Google Maps. Finally, we have the bleeding edge of SEO, which makes your site tell SEO crawlers about your business through schema tags. Schema tags can hold all sorts of information including business name, location, opening times, phone number, and so on. The tags are hidden in the ‘markup’ of your site, meant only for the robots, and they’re designed to be a standardised method for anyone to gather info on your site or business. If a search engine doesn’t have a listing for your business like Google does, then the schema tags can be a first port of call to grab the info. Enhance your marketing and form a closer relationship with your audience by immersing them in a fun and memorable experience. Experiential marketing gives brands the opportunity to communicate with consumers face to face. If the experience provided by a brand is positive, the audience involved are more likely to associate those feelings with your product. Although the definition of experiential marketing is fairly loose (and often seeps into the realm of elaborate PR stunts), it comes down to anything that consumers can physically interact with, ruling out anything that exists purely online or in other media. When running an experiential marketing event, the key is to be as creative as possible, getting the right mix between having fun with your audience and subtly advertising your product/service. Remember, the more interesting the activity, the more memorable the experience. Don’t forget that experiential marketing can be enhanced by utilising digital platforms. Advertising your event across digital marketing campaigns will help to grow the number of attendees at your event. By capturing your event digitally, a larger audience than those immediately involved will be able to see what your brand does for its customers, and will encourage others to engage with your company more closely. So have fun with your customers and devise an event that shows off your brand in the most thrilling way possible!